Management-consutling with „heart and soul“ needs clever heads. Or even more! Martina Nieswandt and Roland Geschwill not only are founder of Denkwerkstatt for Managers – as thinker with practical experience and good consultants they are the very heart of Denkwerkstatt. However, Denkwerkstatt is expanding: With Andreas Pfeiffer, Claudio Thunsdorff and Bernhard Karr the team grew in 2016. He is a lecturer at the first ever Human Resources Management MBA in Germany. Roland Geschwill is qualified in both psychology and economics. 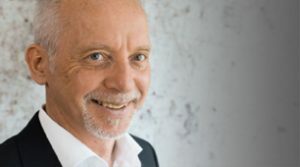 A Denkwerkstatt partner often refers to him as “Mr Brain” due to his comprehensive practical and theoretical knowledge of international management development. 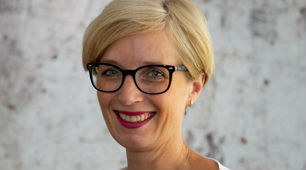 Dr. Martina Nieswandt, Doctor of Business Administration (DBA) und MBA Financial Management Hagen /Cardiff, 2006, Co-founder and Managing Director of Denkwerkstatt for Managers. Many years of management and sales experience (AOK Baden-Württemberg, freelance business consulting). Dr Martina Nieswandt holds a 1st dan black belt in Ju-Jutsu and has trained course leaders of self-assertiveness and self-defense courses for several years. In addition, she lectures at the Master’s program (M.A.) in project management. 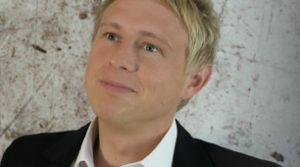 Claudio Thunsdorff is psychologist and works as consultant at the Denkwerkstatt for Managers. His focus lies on personnell assessment of employess and managers, the analysis of organizational culture, and health care in organizations. For example he conducts analysis of psychological risks within organizations and administrations and councels on questions according to health and social challenges. In addition he writes his doctoral thesis and is lecturer at the University of Koblenz-Landau, as well as lecturer at the SRH Hochschule Heidelberg and Hochschule für Gesundheit at Gera. 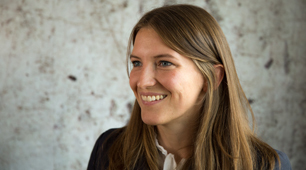 Barbara Limbeck joins Denkwerkstatt for Managers as consultant. Before joining us, she worked many years as senior-consultant at high-class advertising agencies and as self-employed consultant in the field of e-commerce and customer-relationship-management and offers widespread experiences. Special expertise she has in the field of Gender Shift as well as „women in business“. 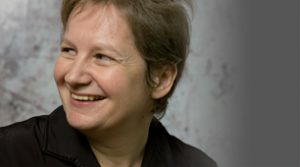 As long-term CEO of the competence-centre Female Business (a start-up centre for female entrepreneuers in Mannheim) she managed this centre with great passion – visionary, down-to-earth and economically oriented. 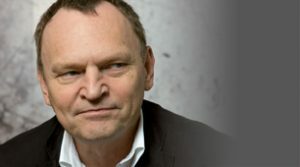 Andreas Pfeiffer is psychologist and consultant at the Denkwerkstatt for Managers. 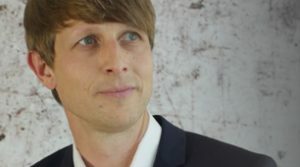 With his focus on organizational psychology, media pedagogics, and communication-psychology, as well as statistics and methodology he also is lecturer at the University of Koblenz-Landau and writing his doctoral thesis. His topics are examples of use in the field of diagnostic, construction of tests, test-visualization, and test-analysis. His thesis deals with conditions and consequences of service-quality. Hereby, he develops a computer-based adaptive test which is a highly economical method to gather such constructs. This method leads to significant more brief and economical surveys, which will have effects on the quality oft he measurement as well as on the return rates. By this his work will be of great importance for empirical surveys within organizations. He is experienced in the field of online-based diagnosis and feedback of personality traits and performance. As Coach, trainer and consultant he works one to one as well as with teams. Lisa works as consultant for Denkwerkstatt for Managers. Her focus lies on planning and implementing staff surveys and interviews as well as the statistical analysis. While studying her master’s degree, she worked at GESIS – Leibnitz Institut für Sozialwissenschaften to deepen her knowledge about statistics. Today, Lisa is also engaged in further development of diversity in organisations. Development and measurement of activities to create more and better diversity in organisations. is psychologist and in addition is qualified in economy. As trainer, personnel and organizational developer he used to work in a service company. Till 2016 he independently lead a team of field staff in this company. At Denkwerkstatt he frequently talks about his qualifications at respectively his cooperation with pop stars of the scene, e.g. Matthias Pöhm or Christoph Lauterburg, who unfortunately died some years ago. So, he has at his disposal a broad spectrum of interventions and knowledge about things that have to be changed in organizations. Legendary is his commitment to Jazz. Roland Geschwill was able to convince him quickly to join the club of FRIENDS of Enjoy Jazz, when Bernhard moved to Speyer. Enjoy Jazz is one of the most important jazz-festivals in Europe. His credo: Organizations need more Jazz!